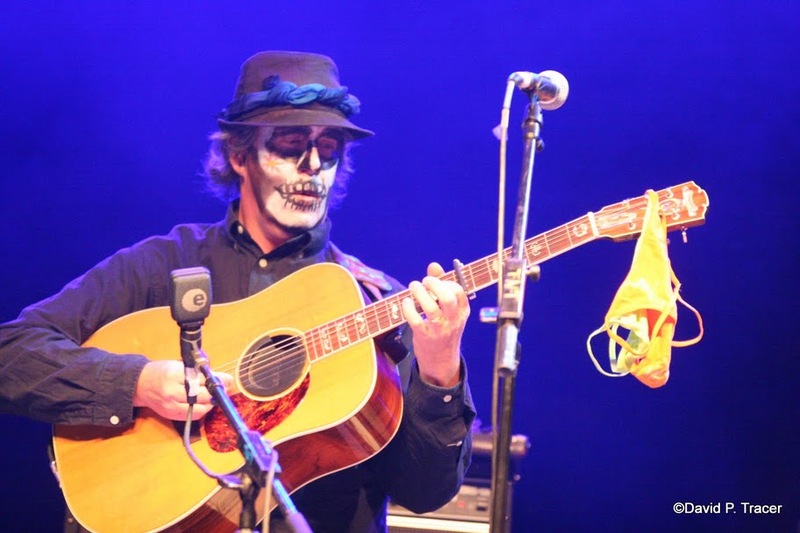 This past Halloween weekend, Railroad Earth hosted their first festival ever. 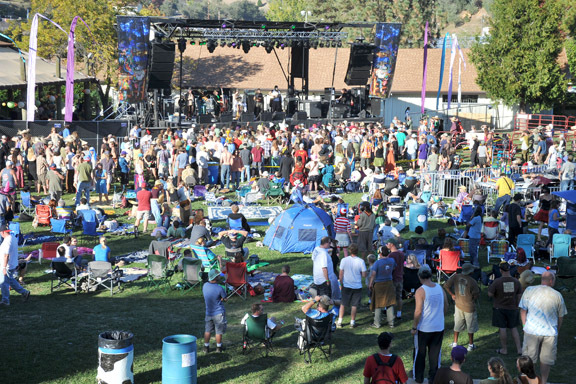 The Hangtown Halloween Ball, in sunny Placerville, CA featured three nights of music from some of the leading bluegrass and funk bands. 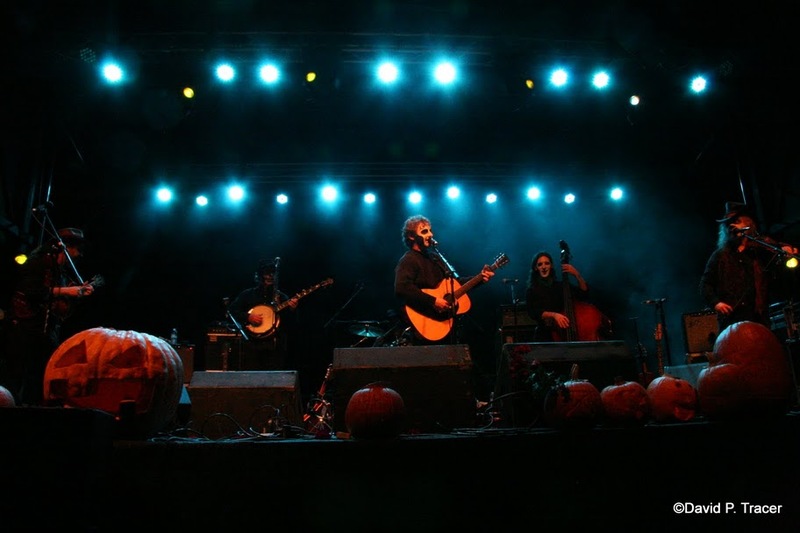 Friday night featured a special sound track performance of the classic film, Nosferatu, led by Railroad Earth. Saturday morning I began the day with Poor Man’s Whiskey who were mostly dressed as Mexican Mariachi players and one as a taco. Their upbeat and energizing flavor of bluegrass was a great way to kick off the day. They even did an acoustic song in front of the stage after their set was over. Then it was Colorado natives Elephant Revival’s turn on stage. Their unparalleled singing abilities, paired with tasteful pickin’ took the crowd on an enjoyable music flight. Andy Goessling of Railroad Earth sat in for a couple songs. Next up was the legendary David “Dawg” Grisman. His sextet serenaded the crowd with classic Grisman tunes. 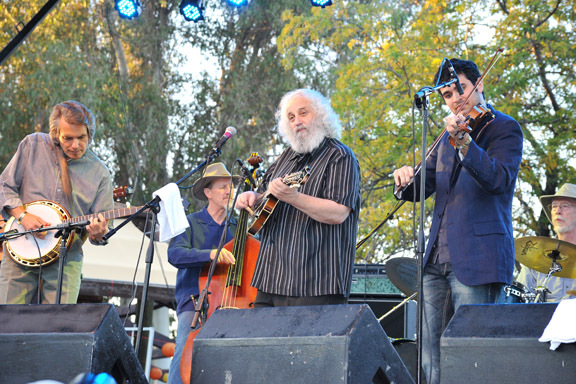 Before each tune, Grisman gave an introduction and brief history lesson about the song. It was very informative and interesting. Then it was 7 Walkers’ turn. This band is led by Bill Kreutzmann, of the Grateful Dead. Their sound is gritty and New Orleans influenced. They played some great versions of classic Grateful Dead songs such as Sugaree and He’s Gone. Finally, it was time for the main event, Railroad Earth! They took the stage and played their hearts out. Bill Kreutzmann sat in for Elko and Mississippi Half Step, followed by members of Elephant Revival for Bird in a House. The crowd loved it and flung cards in the air during the line “I need a card, I need a card, hit me but not too hard…” in the song Elko. This clearly caught the band off guard but they all smiled and I could tell they were having a blast on stage. After, the Funky Meters closed out the night in the barn stage. Sunday began with the bluegrass foursome: Head for the Hills. It was a nice and light way to welcome the day. 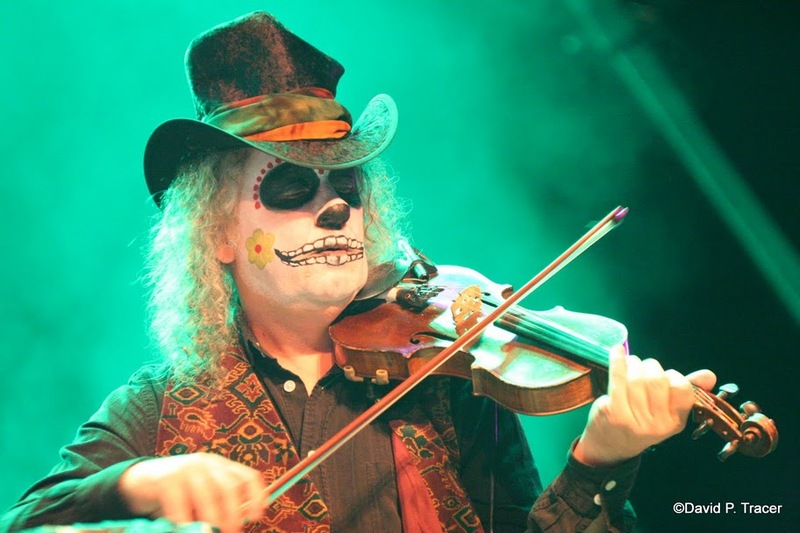 Then it was the eclectic Moonalice, backed by John Molo on drums. And of course, there was a complimentary poster to go along with their show, which has become the norm at Moonalice shows. Zach Deputy got the crowd on their feet and dancing with his one man soul dance party tunes. Then it was time for Melvin Seals and JGB, a show which I was quite looking forward to. They did not disappoint. Their set featured a rocking Rhapsody in Red as well as some classic JGB gospel (Sisters & Brothers > I’ll Be with Thee > Mighty High - fitting for a Sunday afternoon show). Then it was Railroad Earth’s turn to take the stage once more. 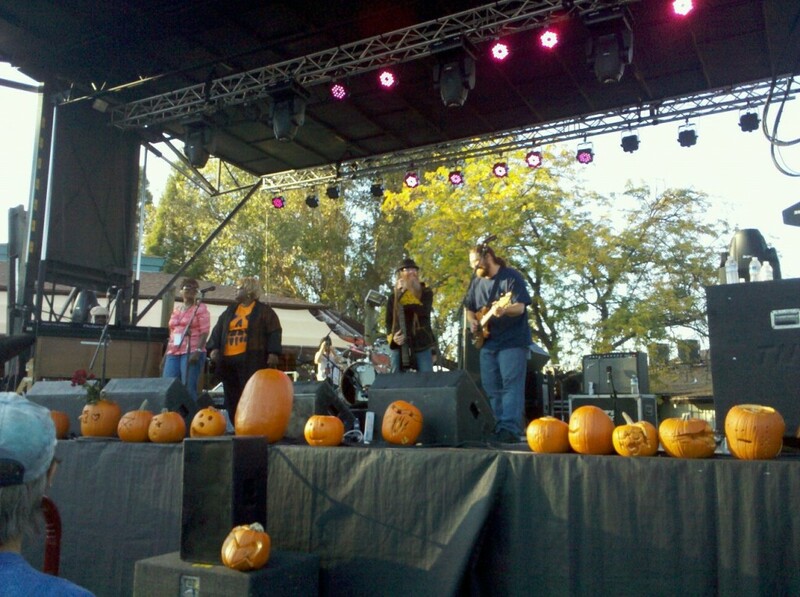 Jack-o-lanterns lined the stage from the power tool pumpkin carving workshop the day before, led by RRE’s John Skehan. The crowd was warmed up and feeling good after such an amazing day of music. The band came out with their faces painted white and black (think KISS but classier). They dove headfirst into Long Way To Go and proceeded to rip through tune after tune of flawless bouncy bluegrass. The first set featured a few rare songs such as The Hunting Song and Peter Rowan’s Pulling the Devil by the Tail. At some point, a considerable number of neon colored ladies thong underwear were tossed around the crowd and on stage. Some of it landed on the band’s instruments though they played on. The second set was as perfect as I could have asked for. It started out with a great version of Like a Buddah, then Lordy Lordy, Water Fountain Quicksand, Seven Story Mountain, Old Man and the Land, The Forecast, Warhead Boogie (where guitarist Todd Sheaffer broke a string, which sent the band into a psychedelic, suspenseful, heavy jam, led by Andrew Altman on bass). Railroad Earth is truly a force to be reckoned with in the bluegrass/jam scene. Their professionalism and skill is apparent from the moment they step on stage. In the front, solos were constantly flying back and forth almost telepathically between John Skehan (mandolin, irish bouzouki), Tim Carbone (violin), and Andy Goessling (banjo, mandolin, guitar, and others), captivating the audience. In the back, Carey Harmon (drums) and Andrew Altman (stand up bass, electric bass) were making us move our legs, almost uncontrollably. Combine all this with the resonant and majestic guitar tone and lyrics of Todd Sheaffer and you have the most dominant and formidable progressive bluegrass band around. I don’t think a single note was missed or misplayed during their four sets. As a band, Railroad Earth is as tight as ever. I highly recommend you check them out when they come to a city near you!